Many organisations claim to be technology pioneers in the ICT industry, but few are also known for pioneering a corporate culture and workplace conditions in the best interests of employees. 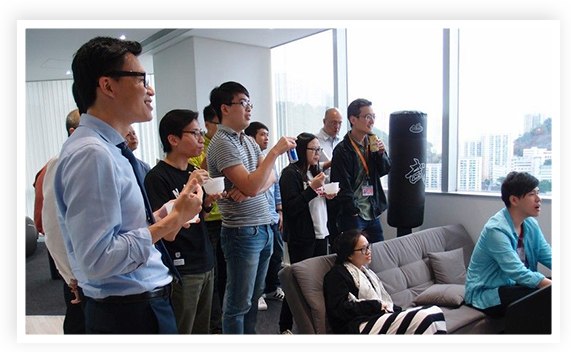 Earlier this year, DYXnet Hong Kong moved into a new office specially suited to the everyday practical and psychological needs of human beings, rather than “work machines”. 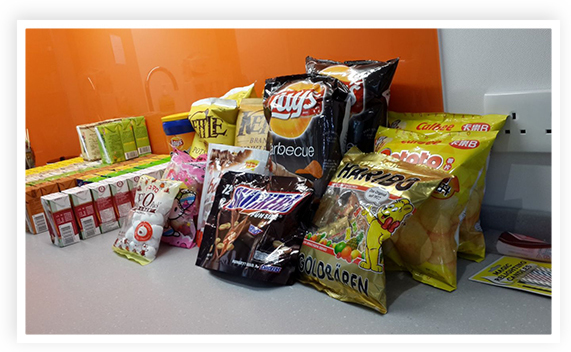 Building on this pioneering approach, DYXnet introduced the “Happy Friday” concept in March this year. 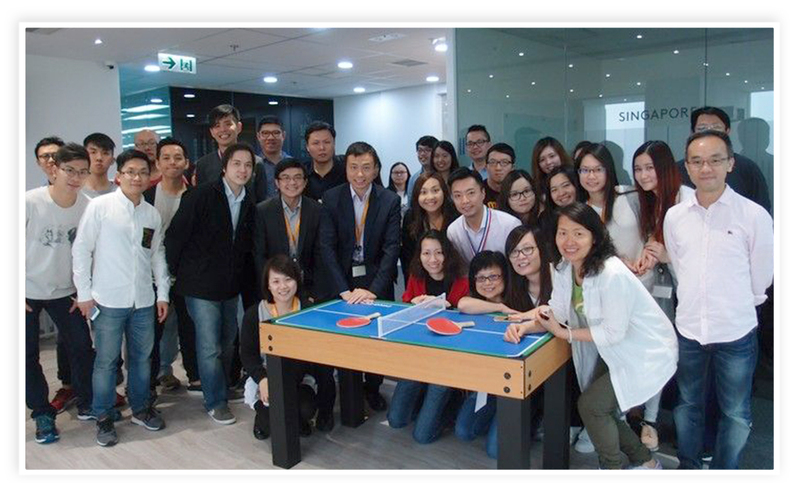 On the last Friday of each month, colleagues stop work at 4.30pm to stage mini-table tennis competitions, play recreational games and organise other activities, as well as get to know one another better. 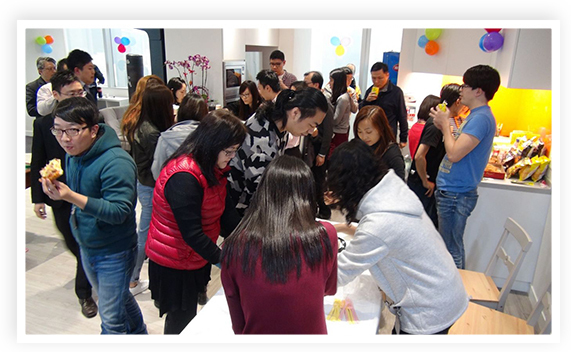 We also throw parties every quarter for staff birthdays that have occurred during the previous three months. Then at 5.30pm, we are allowed to leave the office early to end a perfect working day! The intelligence behind this approach is to cultivate a corporate culture that encourages a free flow of communication between staff at every level. We believe a stress-free environment that promotes interaction based on openness and honesty – regardless of rank – sets the scene for faster incubation of ideas and problem-solving. 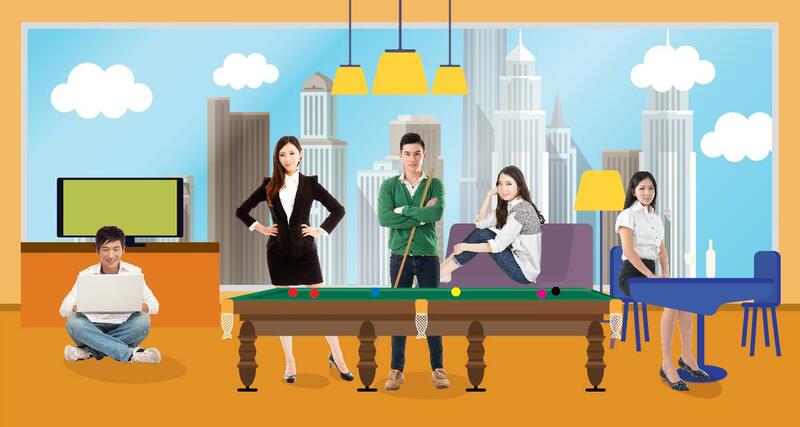 Management is now considering further development of the “Happy Friday” concept, while pioneering other workplace innovations. Such initiatives will be rolled out to the rest of the DYXnet Group, depending on feedback and perceivable results. 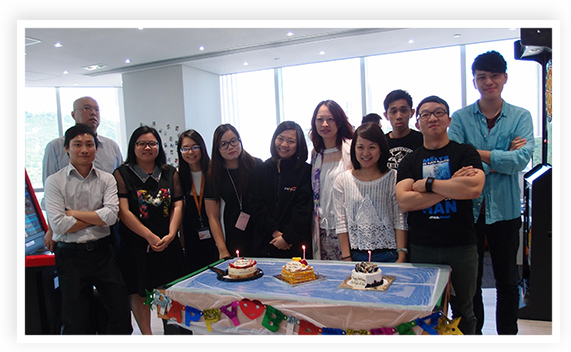 Parties are thrown once a quarter to celebrate birthdays throughout the workforce. 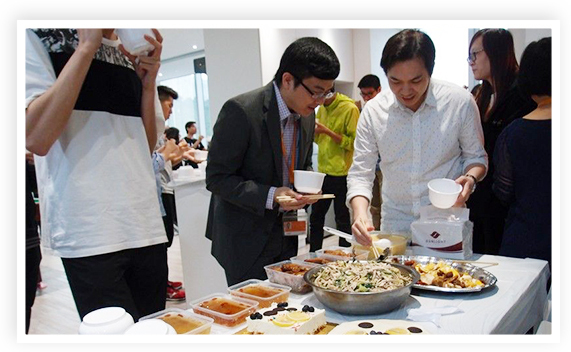 Eating together is a tasty way of encouraging interaction and a spirit of sharing in the best traditions of teamwork. 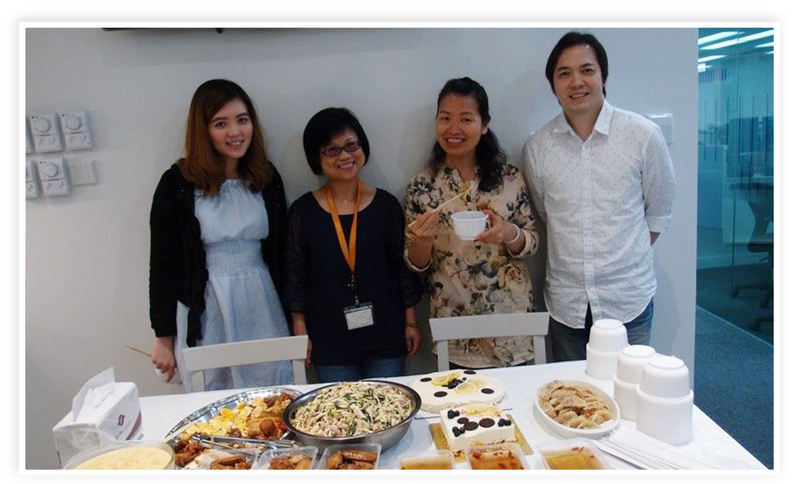 Our amateur chefs are happy to put their culinary capabilities to work for the enjoyment of their colleagues. Feasting and playing video games have something in common – they bring people together! 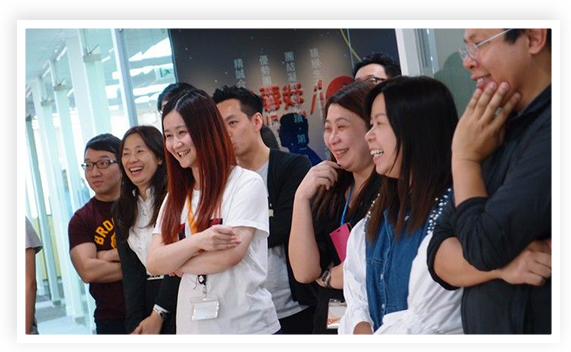 A sea of happy faces signals a stress-free workplace and healthy corporate culture. 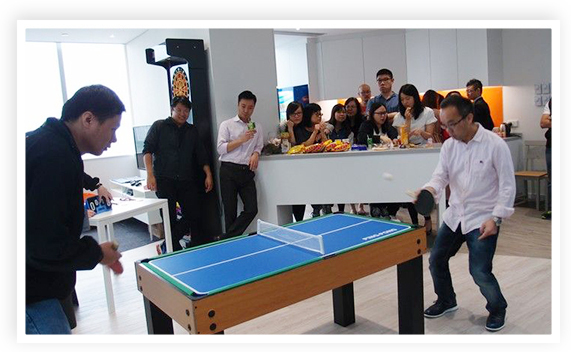 Playful mini-table tennis competition in action – Technology & Research President Max Yeung (left) in a showdown with Network Business President Jacky Wan. 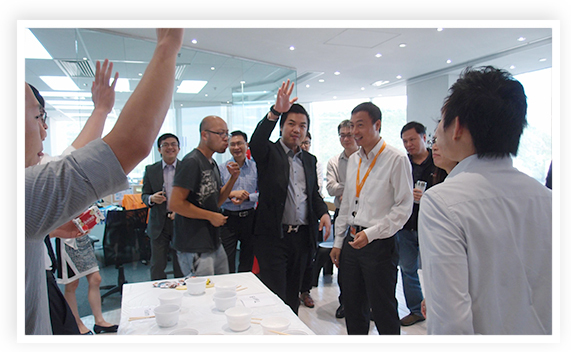 We innovate at play just as we innovate at work! That’s why we dream up with oddball games such as “slipper fling” and “eat ’em up”!